Feeling a little zesty? 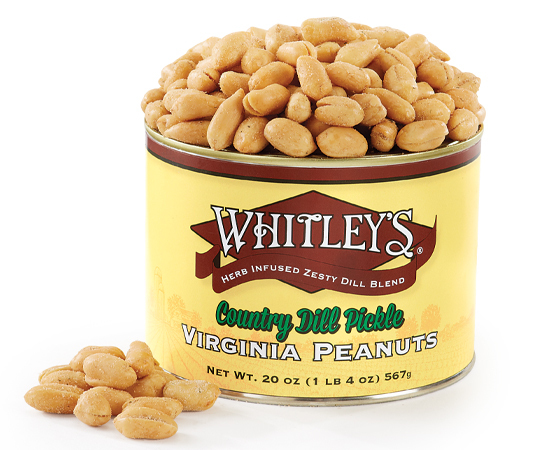 We've coated our famous "Home-Cooked" Virginia peanuts with an herb-infused zesty dill blend to give you that sour dill flavor you've been craving. While in a kitchenware shop in Waynesville, NC, we sampled the Country Dill peanuts, and also the Bacon Maple peanuts. We were wowed by the freshness, taste and size of these peanuts and needless to say. purchased a couple of cans. 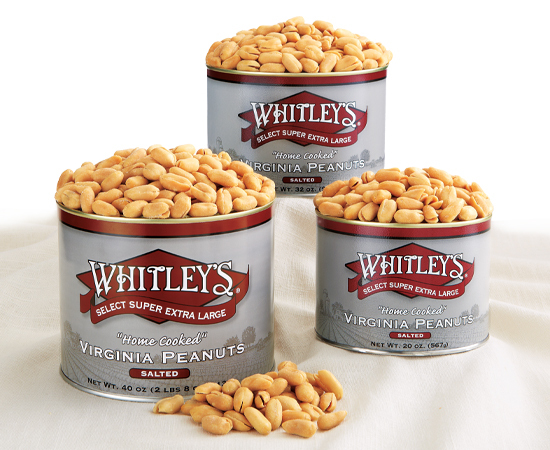 We have never eaten peanuts that tasted this good, and I just placed an order for these and four more flavors. I'm so happy that you are making Dill Pickle Peanuts! In 2016 I saw small packs made my another vendor in the convenience store and purchased a few for our boat trips. You need peanuts with beer, right? Anyway, I see your stand and the Colonial Beach Bike Show each year and this year (2018) you had Dill Pickle Peanuts. Hallelujah! My South Carolina boat friends love them and are always asking me if I brought them. Thank You!